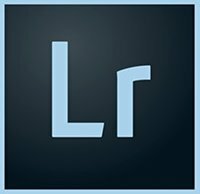 Adobe has released Lightroom Classic 7.2. The new update promises improved performance. Let's take a quick look at what you can expect from LR Classic 7.2. Users have reported that Lightroom has typically slowed down after prolonged usage, an issue which Adobe says they have now addressed. Further, for users with 12 GB or more RAM, resource-intensive actions like exporting, importing and generating previews should be faster. Usability improvements the ability to search for folders and mark folders as favorites. You can also group folders together and quickly create collections or collection sets based on selected folders. There is also now the ability to sort your library by edited and unedited files. As is typical with Adobe Lightroom updates, the new version of LR Classic includes additional camera and lens support, such as the new Fujifilm X-A5 and X-A20 cameras, and fixes a number of bugs. For the full list of supported cameras and lenses, see here. You can see the full details over at Adobe by clicking here and here.